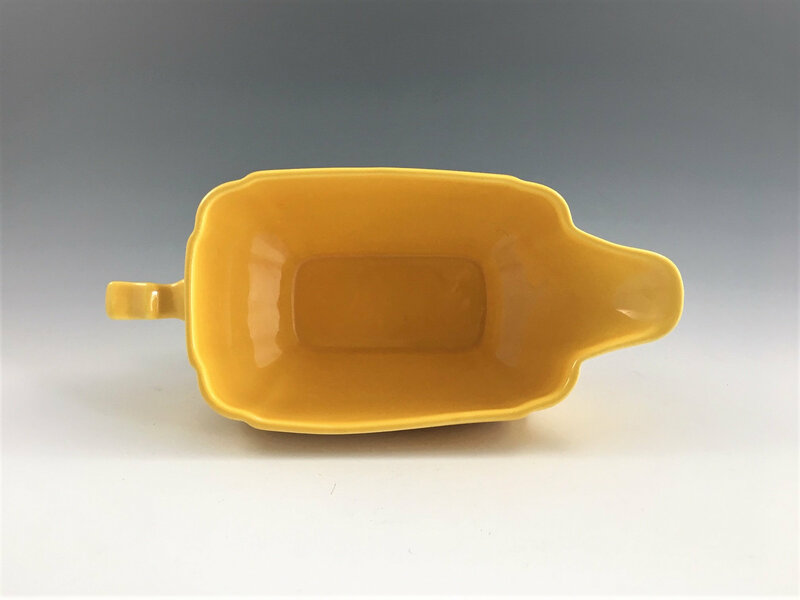 Featured is a cool retro ceramic Sauce Boat from Homer Laughlin. 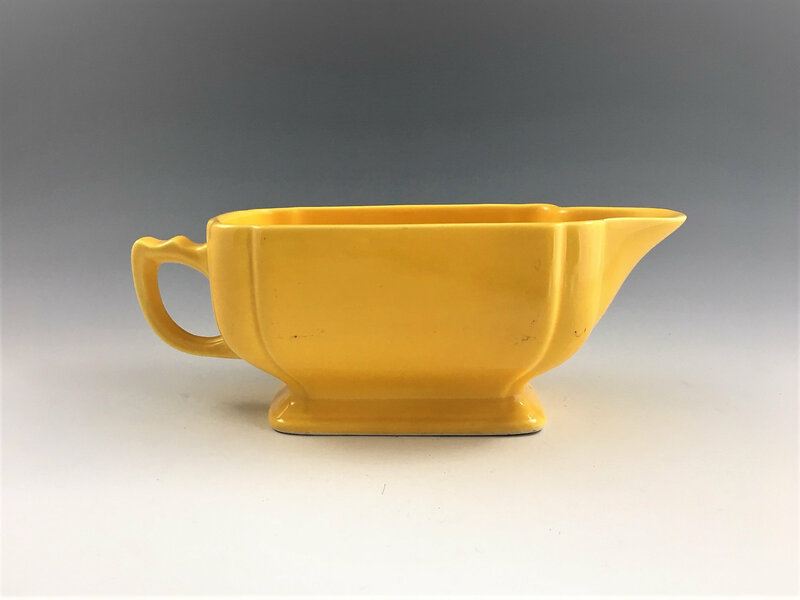 This gravy dish is about 7 1/2 inches from handle to spout and about 2 3/4 inches tall and is from their Riviera line. 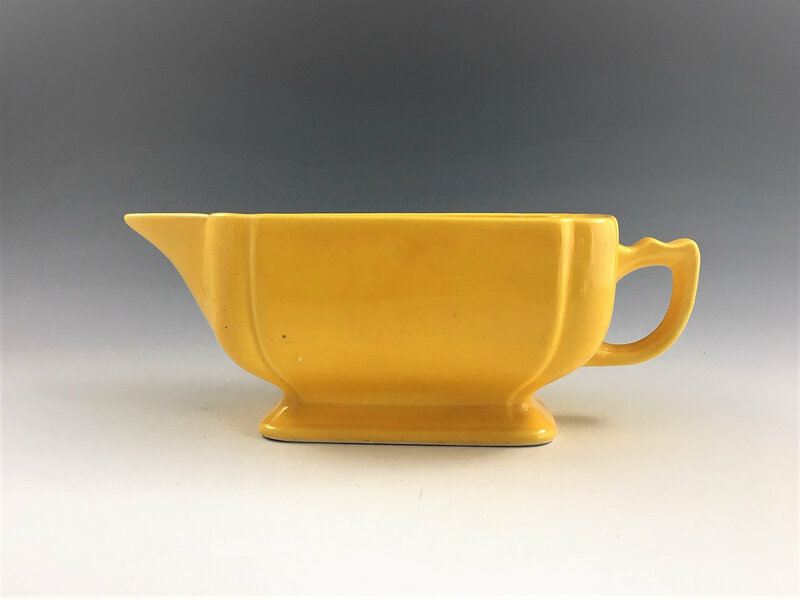 This is great "go with" piece for Laughlin's Fiestaware line that is becoming increasingly hard to find. This piece is in great condition, free from any chips or cracks. 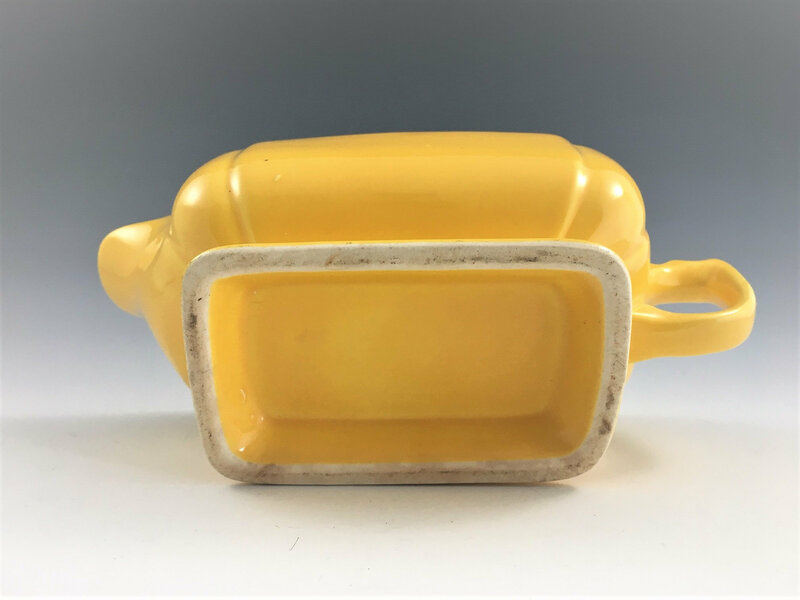 This would make a wonderful addition to your mid century dishware collection.